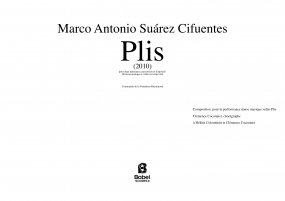 In 2005 he studied under Michael Levinas, Bryan Ferneyhough and Jean-Luc Hervé in the « Voix Nouvelles » composition workshop of the Royaumont Foundation. 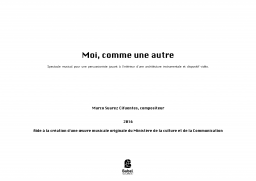 From 2006 to 2009 he worked with Eric Daubresse, Robin Meier, Mikhail Malt, Emmanuel Jourdan, Jean Lochard and Yan Maresz in two IRCAM programs: « Cursus de Composition et d’informatique Musicale » and « Formation spécialisée en composition recherche et nouvelles tecnologies ». 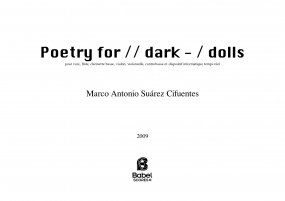 In 2009, within this context, the Ensemble Intercontemporain performed his project « Poetry for // dark - / dolls », for voice, ensemble and live electronics in two performance spaces. 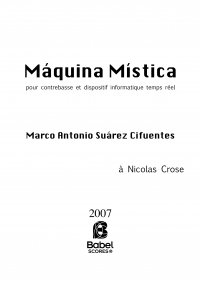 His music has been performed in South America and Europe by prestigious groups such as: Ensemble Intercontemporain, Ensemble le Balcon, Ensemble Orchestral Contemporain, Multilaterale, l'Itinéraire and l’Instant Donnée (France) le Ensemble Vortex, Contrechamps (Switzerland), Contemporanea (Denmark), Onyx (Mexico) and Decibelio (Colombia). 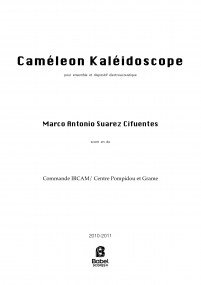 In 2010 he was appointed by the IMTR research team at IRCAM to compose for the project MUBU along with M. Norbert Schnell; here his investigations are centred on the development and integration of compositional control methods for real time analysis and synthesis interfaces based on concatenation and granular synthesis. 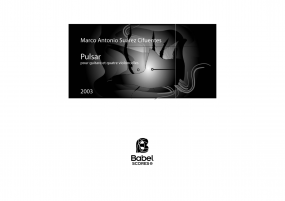 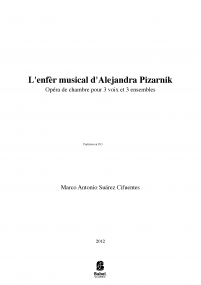 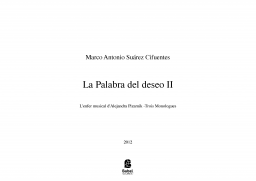 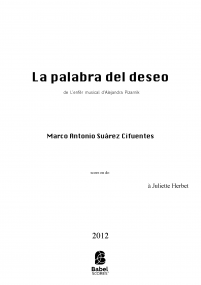 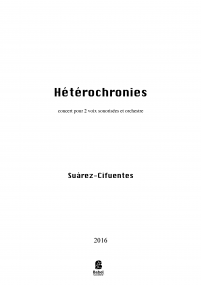 In 2012 he premiered his first opera « L'enfer musical d'Alejandra Pizarnik », for three voices, three ensembles and live électronics commissioned by the ensemble LeBalcon. 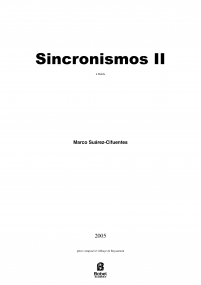 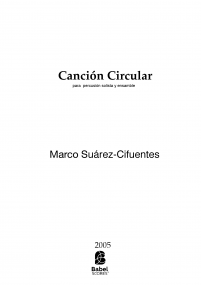 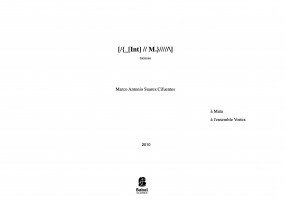 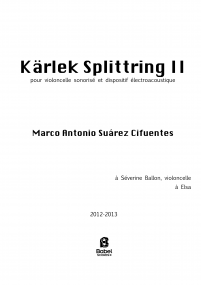 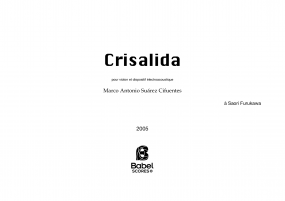 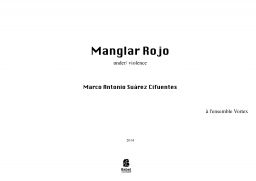 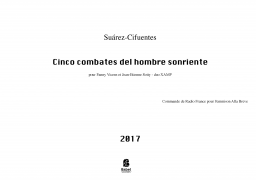 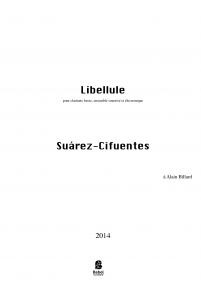 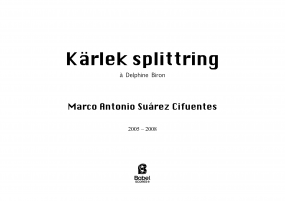 In 2012 Marco Suarez is invited to the Muse en Circuit Studios to work on “Kärlek Splittring II” for cello and electronics, and "Libelulle" a new piece for hybrid bass clarinet solo and ensemble in collaboration with Alain Billard. 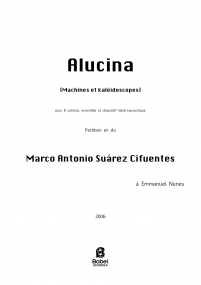 He has recently premiered "Monologue pour une araignée mécanique" for one musician playing an electroacoustic string based architecture in collaboration with Nieto and Nicolas Crosse, "Moi, comme une autre", for hybride percussions and vidéo in collaboration with Lucie Antunes and "Hétérochronies", concerto for two amplified voices, XAMP accordion and large orchestra. 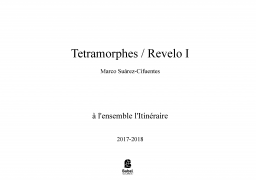 Actually he works on a new opera on Saint Jean's Apocalypse with Nieto and collaborates with Jeanne Maisonhaute and the XAMP duo on two musical projects.